← Happy Thanksgiving from Leap Forward Coaching! 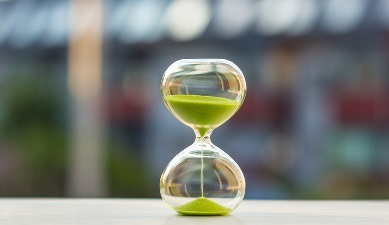 You know the saying: “Patience is a virtue.” But in this on-demand world, is being patient still a necessity, or an outdated idea? I believe patience is essential to daily life, and the key to a better one. Let’s explore the power of patience to create increased happiness, healthier relationships, and greater success. Life provides infinite opportunities to demonstrate patience, as we all experience unpleasant matters at one time or another. From standing in the “slow line” to sitting in traffic or dealing with annoying people, patience determines whether you will experience each situation with ease or hardship. Patience is the capacity to accept, tolerate, or endure delays, trouble, or suffering without getting angry or upset, making it a healthy antidote to anger and stress. With patience you learn to overcome challenging situations with more flexibility, insight, and wisdom. It’s less about having to wait, and more about how you think and act while you are waiting. Patience gets a bad rap. Some see it as weakness, passivity, or even surrender — but in fact, it’s just the opposite. Patience is an active skill that provides the power of choice. It allows you to choose your battles and make informed decisions. Patience gives you the power to watch and wait, keep your cool, and know how and when to act. In relationships, patience acts as a powerful form of kindness. Patience enables you to tolerate flaws in others, resulting in more generosity, compassion, and forgiveness. With patience we become kinder, better people. It’s not just others for whom we need patience; never underestimate the power of being patient with yourself and your life circumstances. It’s important to remember that personal and career growth take time. Good things really do come to those who wait! So the next time you feel challenged by circumstances outside your control, tap into the power of patience. Acknowledge your difficult situation, and resolve to respond with steady grace. When you stay calm and centered, all areas of your life will improve. Focus on gratitude. When struggling to be patient, look for things to be grateful for instead. Finding gratitude in moments of frustration enables you to manage delays and setbacks with greater tolerance and tranquility. Embrace discomfort. When facing annoying or difficult situations, create coping mantras, such as: “This is uncomfortable, not intolerable,” “I can handle this,” or “This too will pass.” Learn to lean in to discomfort. Remind yourself this trial won’t last forever and is building character. your mind clear and your body relax. Seek out distractions. One of the simplest ways to increase patience is to focus on something other than what’s causing you to lose patience. In the checkout line, chat with a fellow shopper or read magazine headlines. Laid off and job hunting? Use some of your free time to volunteer, try a new hobby, get in the gym, or connect with family and friends. Through my Leap Forward Coaching method I offer a proven life-changing experience for your personal and professional growth — including leveraging the power of patience for greater happiness and success. Contact me at www.leapforwardcoach.com for a complementary consult. This entry was posted in Archive Newsletter, Focus-Building Tips, Patience, Thrive, Zen Habits. Bookmark the permalink.